The PayPal for Digital Goods plugin allows you to generate a PayPal payment button that will let your customers pay for a digital file instantly using an inline/popup window using the PayPal’s in-context express checkout API/Gateway. The customer will never leave your site to make the payment. The digital file will be given to the user immediately after the payment automatically. The customer will get the file download immediately after the payment. The Express Checkout flow keeps the buyer on your web page or mobile app throughout the entire checkout flow. On desktops, buyers check out in a secure lightbox window that overlays your website. On tablets and smart phones, buyers access the PayPal payment screens in a full-page mobile browser. Click on the PayPal for Digital Goods menu link under your WordPress settings interface to configure the API and settings data. Specify the currency code and the text for the Buy Button (you can override this text in the shortcode also). 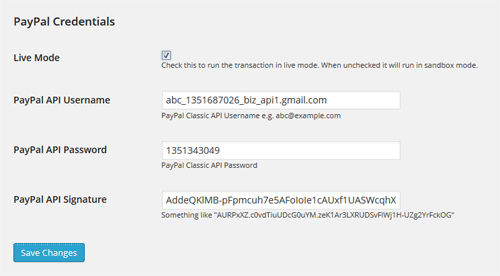 Finally, enter your PayPal API details in the Credentials settings. 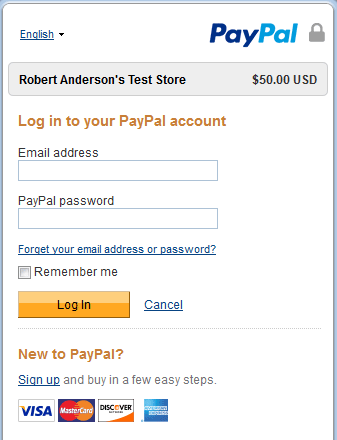 This page shows how to get your PayPal api credentials. Navigate to My Apps & Credentials and click Log into Dashboard in the top, right corner of the page. b. In App Name, enter a name and then click Create App again. The app is created and your client ID is displayed. Click the Sandbox / Live toggle to display and copy the client ID for each environment. Enter the following shortcode where you want to add the buy button for your digital file. You can upload your files to your site using the WordPress media uploader. This tutorial will be helpful if you don’t know how you use the WordPress media uploader. You can add this shortcode anywhere on your site (post, page, sidebar etc) to sell digital files via PayPal in-context express checkout.